Belgium firm VPK Packaging Group and German firm Klingele have unveiled plans to further invest in Scandinavian packaging firm, Peterson. Based on existing European collaboration, the firms have decided to invest in Peterson to expand the operations in Nordic market. In October 2016, VPK acquired the Scandinavian packaging group Peterson, which includes around 800 employees. It was acquired from Pemco. With annual turnover of about €160m, the company produces corrugated cardboard packaging products at its six facilities in Norway, Sweden and Denmark. The facilities have a total production capacity of 350 million square meters. Klingel, which now holds 26% shareholding in Peterson, will concentrate on quality certification, product innovation and productivity increase. Through taking the support of two packaging manufacturers, Peterson intends to expand its presence in Scandinavian market. In 2013, Klingele and VPK founded Blue Paper manufacturing unit, after a long-term cooperation within the alliance Blue Box Partners. It helped to convert publication paper mill into a containerboard mill. Blue Box Partners is a European network of four packaging manufacturers, including Cart-One, Hinojosa Packaging, Klingele Papierwerke and VPK Packaging Group. With two paper mills, six box plants and six converting plants in Europe and Africa, Klingele produces recycled corrugated base paper and corrugated board packaging. VPK, which has 47 manufacturing sites in 16 countries, produces recycled paper, corrugated board packaging, solid board packaging and cores. 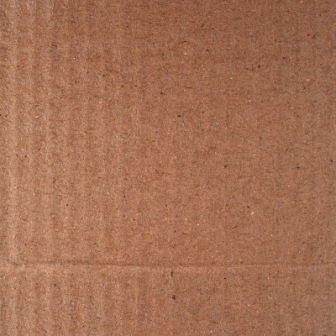 Image: Peterson manufactures corrugated cardboard packaging products. Photo: courtesy of antpkr / FreeDigitalPhotos.net.